Did you know an adult female Flea can lay up to 50 eggs per day? You read that right – 50 eggs a day! And from egg to adult, Fleas can mature in a matter of weeks in the right conditions. So if your dog or cat is itchy, read on! This article could prevent your home from turning into a flea circus. Full disclaimer: Our Vets run www.fleamail.com.au, Flea, Tick & Worming made easy for Aussies. However, we’re not backed by any pharma companies. We simply use the best. Fleas are small, wingless parasites that survive by feeding on the blood of cats, dogs, and humans. Because they feed on warm-blooded animals, Fleas are extremely good at surviving all year-round, from our harshest Aussie summers to our coldest winters. A Flea’s entire body is made to eat, with a head that’s encompassed by sharp spikes, and with a mouth that’s designed to pierce through a host’s skin and feed on their blood. What are the early signs of Fleas? 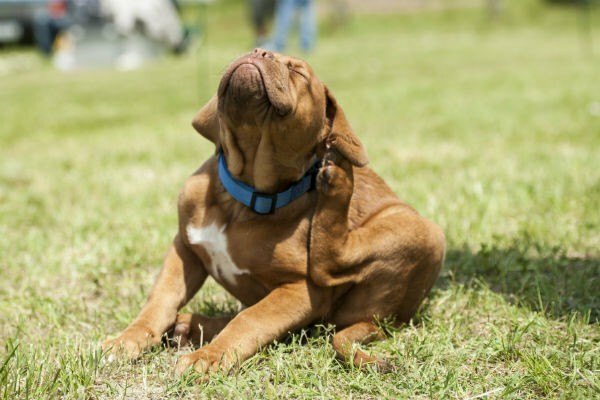 Given the size of Fleas, you likely won’t see them until your dog is “scratching an itch”. To check your dog for fleas, use a fine-toothed comb and brush while looking for small brown dots moving about. Extensive flea bites can also lead to anaemia and hair loss, so it’s important to get hem early. 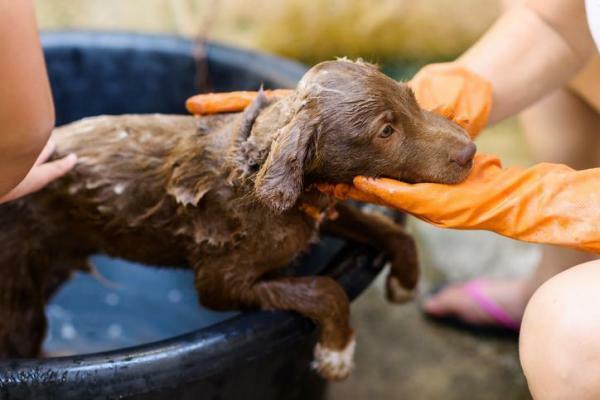 Fleas can also gravitate to a dog’s ears and tail, so be sure to check there too. Keep an eye out for “Flea dirt”, the poo fleas leave on your pet’s fur. If you moisten Flea dirt on a tissue it will turn red, since it is mainly ingested blood. As the “circus” name eludes to, Fleas are capable of jumping nearly a foot in the air vertically! This makes it easy for fleas to get onto a dog, cats or humans. 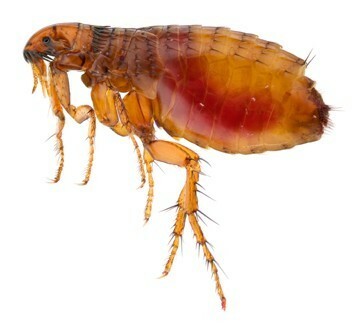 Fleas love warm temperatures too, so in summer they’re everywhere, in winter they’re searching for your pet’s warm fur! After a single feeding, Fleas can survive for months without a meal, yikes. Let’s get to it, preventing Fleas! Like EVERYTHING, prevention is better than cure when it comes to Fleas, and we recommend total parasite protection (like FleaMail) because Fleas can carry other diseases. FleaMail uses oral protection, but there are other methods available. 1. Oral Flea treatments for dogs. 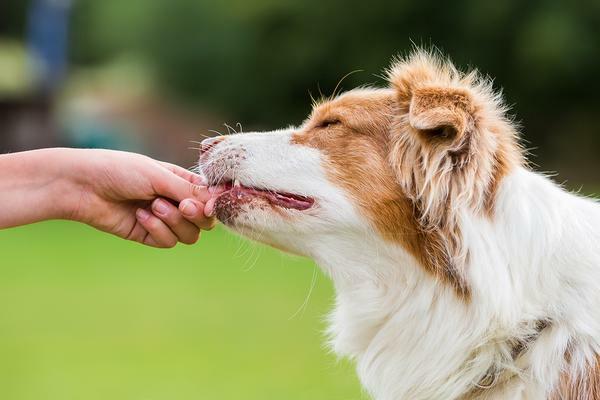 Many Vets (including our FleaMail Vets) prefer oral treatments as, depending on the product, also protects against more parasites than Fleas like ticks, heartworm, roundworms, hookworms, and whipworms. It should be noted, no single oral flea treatment for dogs can protect against all parasites. At FleaMail we use a combination of leading Australian parasite prevention products for comprehensive protection. 2. 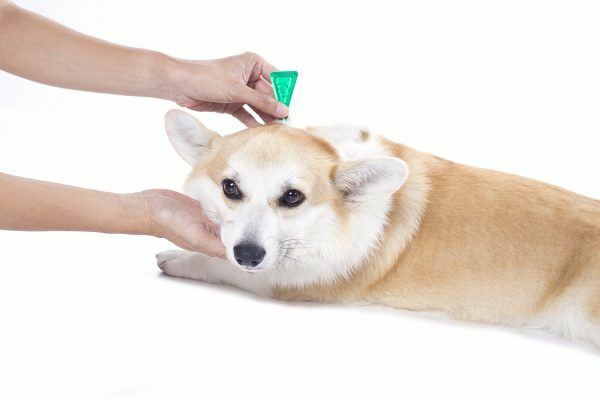 Topical Flea treatments for dogs. Applied directly to your pet’s skin, normally between at the base of the neck or shoulder blades, topical flea and tick treatments are often referred to as “spot-ons”, a parasite prevention liquid that’s spread over your pet’s entire body and sweat glands. Due to the chemicals used, the unknown protection and the possibility of children coming into contact with your pets, we do not recommend spot-ons at FleaMail. 3. Flea Collars for dogs. Flea collars are exactly what they sound like, a collar with a concentrated chemical to repel and kill fleas, and some ticks. A flea collars intends to disperse the active ingredients over the animal’s entire body, but as you can imagine, there can be a large concentration of chemicals on your pet’s neck, and the rest of their body exposed. For these reasons, the FleaMail Vets tend to avoid Flea and Tick collars. 4. Powders, Sprays and Shampoos. Another approach for controlling Fleas are sprays, powders and shampoos. These were more popular 15-20 years ago before oral treatments caught up. Flea powders and sprays need to cover your pet’s entire body, even between their toes, but always avoid their eyes and mouth (very tricky as all pets lick). We avoid Flea shampoos and powders, they’re just inconvenient and can be very toxic. Looking for the right Flea treatment products? We’ve prepared a list below, so you can do your research. If you’ve any questions, please just get in touch with the FleaMail team on our contact us page – and our Vets will get back to you! Comprehensive Flea, Tick & Worming by Aussie Vets. – Monthly Simparica liver chew for fleas, ticks and mites. – Monthly ValuHeart heartworming prevention. – Every 3 months Cazitel liver tablet for intestinal, tape, lungworms and giardia. NOTE: Does NOT cover Ticks and Mites. NOTE: Does NOT cover Mites and Tapeworms. NOTE: Does NOT cover Mites, Intestinal and Tapeworms. NOTE: Does NOT cover Ticks, Mites and Tapeworms. NOTE: Does NOT cover Paralysis Ticks, Mites, Intestinal, Tape and Heartworms.